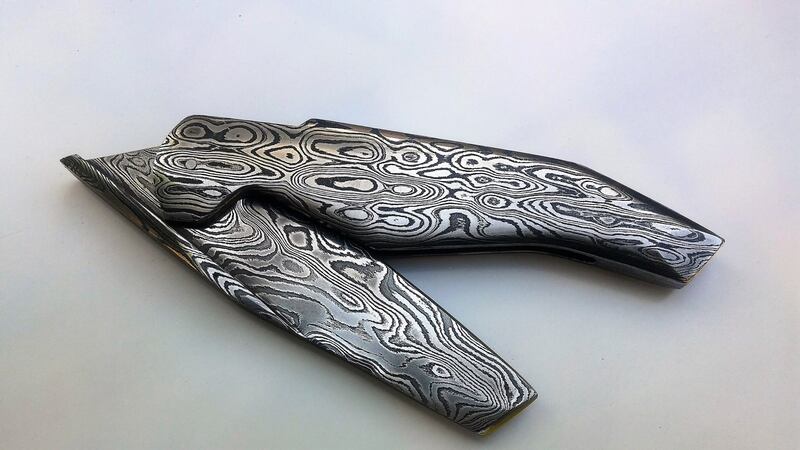 Folding damascus steel knife with piamontes system. 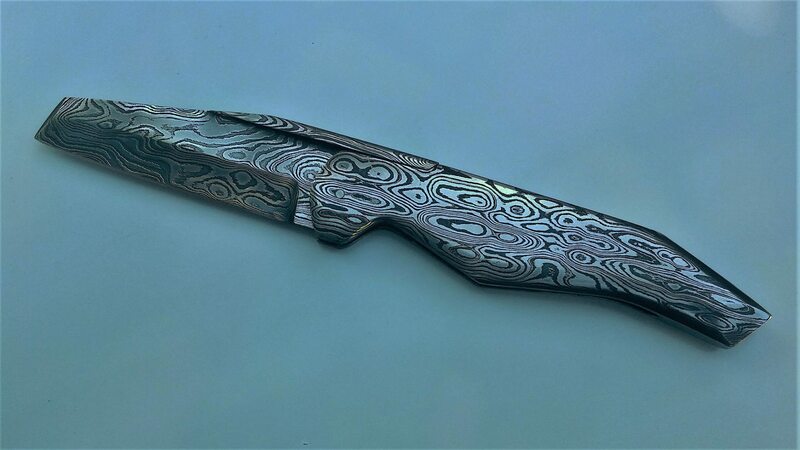 Constructed entirely in 6mm damascus steel. 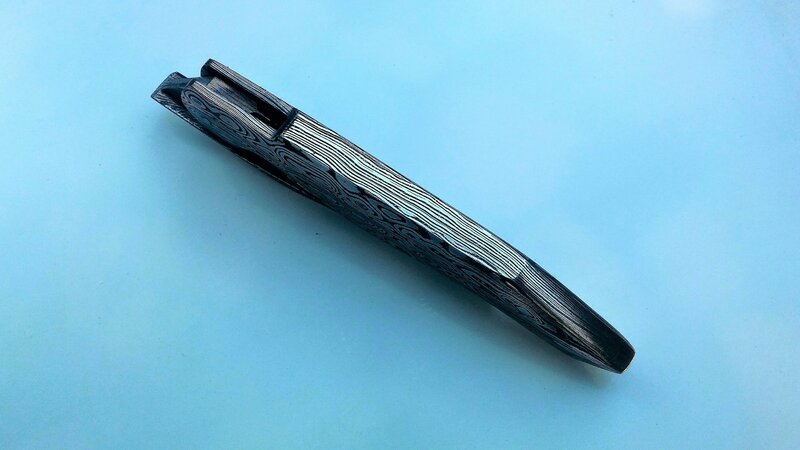 The blade is like a japanese Tantō. Hola Guillermo. Mi nombre es Jonathen y vivo en los estados unidos. En los ultimos dias e estado viendo sus hobras de arte y me gustaría adquirir una de ellas. 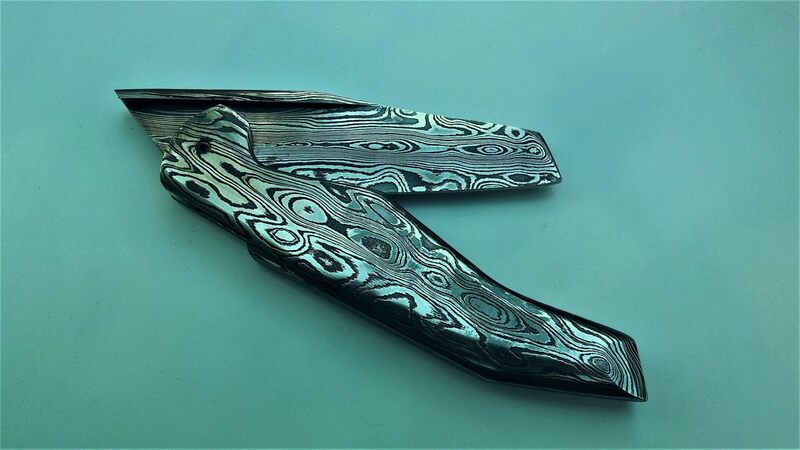 En este caso seria el (folding knife with tantō blade design). Porfavor espero oir mas de usted. Gracias. Wonderful ! I would love to know if these are for sale. I have a store in Bangkok and your story and products are very compatible with what I make. I would also like to use my shagreen on the handles for the folding knives. Do you think its possible? Hello. 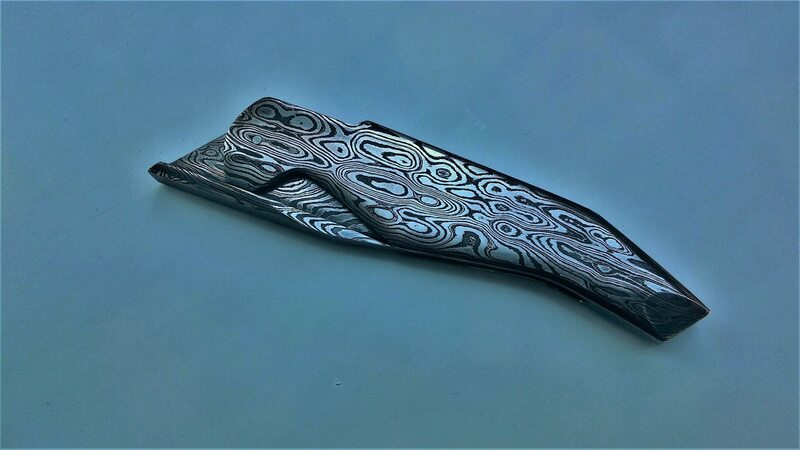 This knife looks awesome, I want one… How much is it?